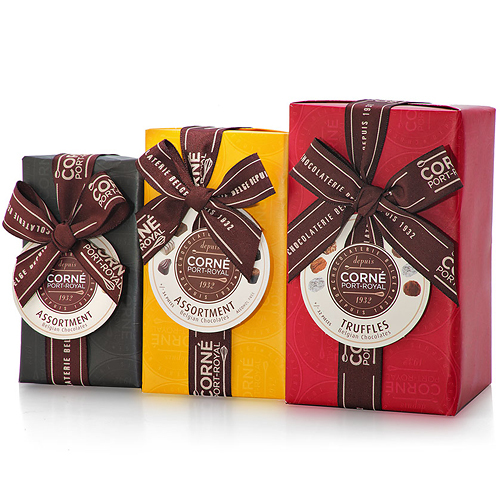 Treat your favorite Belgian chocolate lover to this perfect trio by Belgian chocolatier Corné Port-Royal. Three ballotins offer everything chocolate enthusiasts could want. It starts with a traditional ballotin, a classic balanced assortment of milk, dark, and white pralines. Luxurious and refined, and certain to delight. 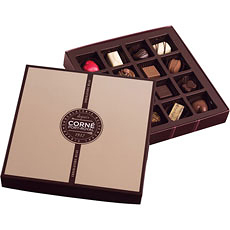 Next discover the heavenly indulgence of Corné Port-Royal truffles: traditional buttercream-filled truffles in mouthwatering flavors such as chocolate buttercream, Marc de Champagne, Coffee, and Salted Caramel. 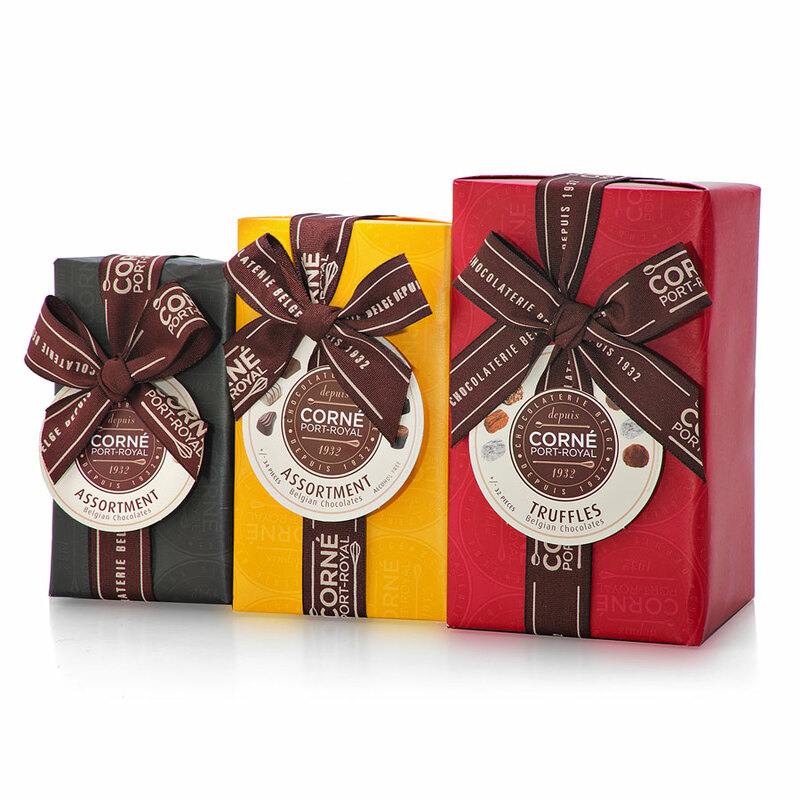 The trio is completed with Corné Port-Royal's All Dark ballotin. 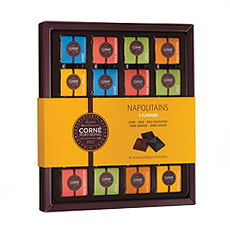 Savor the rich intensity of Belgian dark chocolate in this sophisticated assortment of dark chocolate pralines. 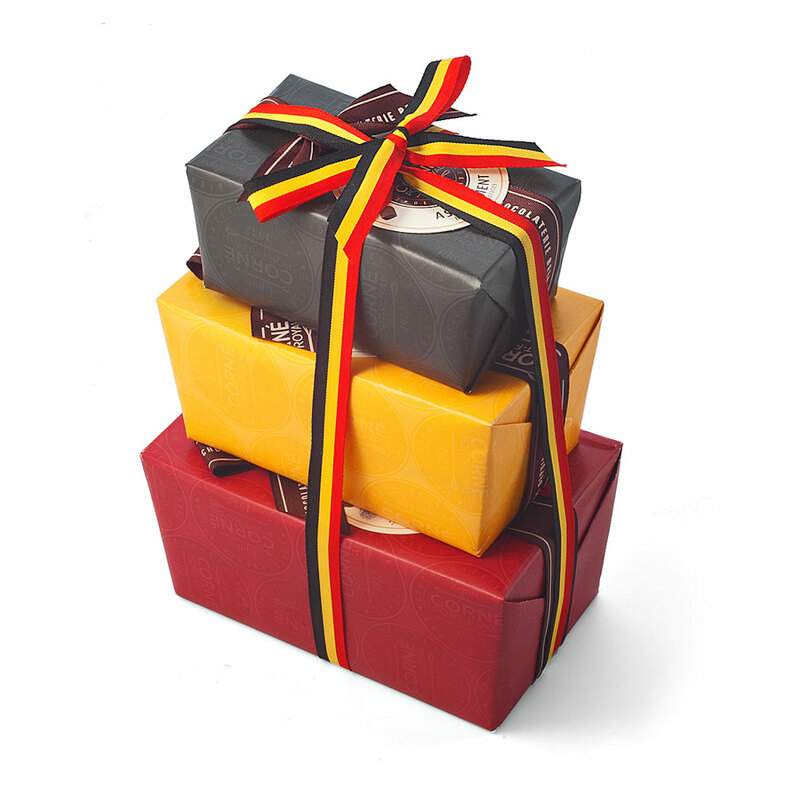 This Belgian chocolate gift set is the most delicious way to say "Happy Birthday", "Thank you", or simply "I'm thinking of you". Allergy Advice: Contains milk, eggs, soya, nuts, hazelnuts, pistachios, almonds, gluten. May contain traces of sesame and other nuts.